SAN FRANCISCO -- Four arrests have been made in an investigation of a recent series of strong-arm robberies on San Francisco Muni buses, according to police. The robberies, described as "brutal" by the San Francisco Police Muni Task Force, took place on buses in the city's Tenderloin, southern, northern and central police districts. The investigation began in July, police said. Clay Doss, 19, of Antioch, was identified and arrested July 19 on suspicion of possession of stolen property, according to police. Doss was already in custody for an unrelated warrant, police said. Police said investigators made arrests of suspects in a July 17th strong-arm robbery that happened on a bus at Van Ness Avenue and McAllister Street. In this case, police said, a man left one bus and boarded another, only to be followed by a pack of suspects who allegedly assaulted and robbed him of his cell phone. A 13-year-old San Francisco girl and a 15-year-old San Leandro boy were arrested on suspicion of robbery and conspiracy related to the case, according to police. 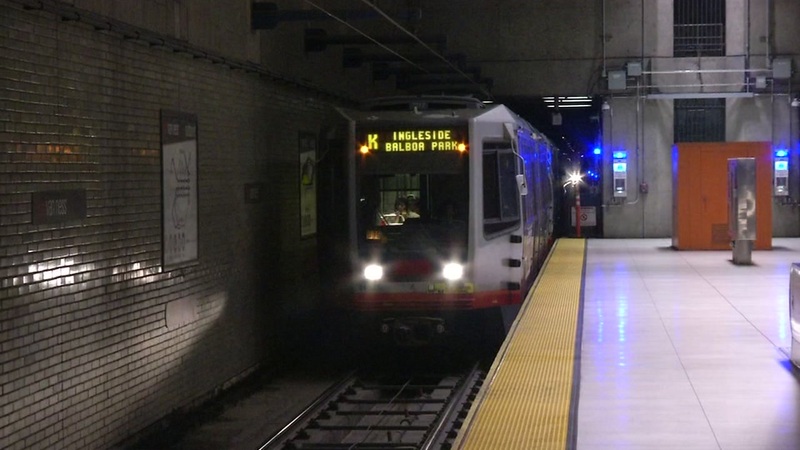 A 14-year-old San Francisco boy was also arrested and booked on suspicion of robbery, conspiracy, and felony battery of a passenger on a transit vehicle, police said. "Keeping San Francisco's Muni system safe is a high priority for the SFPD," San Francisco Police Chief William Scott said in a statement. The chief said members of the Muni task force, the police department's Muni response team and other law enforcement work closely with transit employees to help keep Muni safe.